For years now, scientists from the German Aerospace Center (Deutsches Zentrum für Luft- und Raumfahrt; DLR) have conducted research at the Plataforma Solar de Almería (PSA) in the south of Spain, which is operated by partner organisation CIEMAT (Centre for Energy, Environment and Technology). 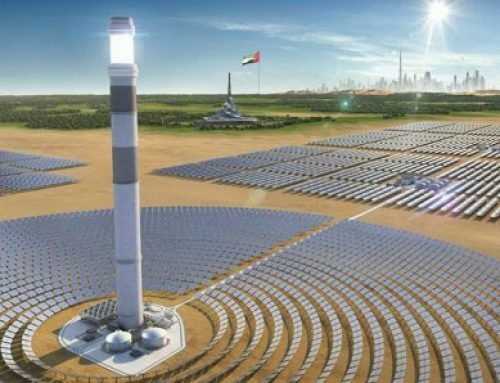 At this location scientists are developing and optimising methods and components for solar power plants, as well as measurement procedures designed to increase power plant efficiency. A few years ago their research also began to include a focus on the development of methods to produce hydrogen. Professor Pascale Ehrenfreund, Chair of the DLR Executive Board, visited the research facility together with CIEMAT’s Deputy Director General Maria Luisa Castaño on 18 and 19 May 2017. “The work conducted by the DLR energy researchers at Plataforma Solar makes important contributions to climate-neutral energy supply. Cooperating closely with CIEMAT and industrial partners, they address a broad range of long-term topics, for instance the use of solar power to produce hydrogen, as well as applications to optimise solar thermal power plants that directly address the needs of the market,” said Ehrenfreund during her visit. 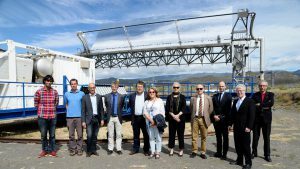 She joined a delegation of Spanish research partners to inspect the HYDROSOL Plant test reactor, which is installed on one of the solar towers. The reactor is located on a research platform 25 metres above the ground. 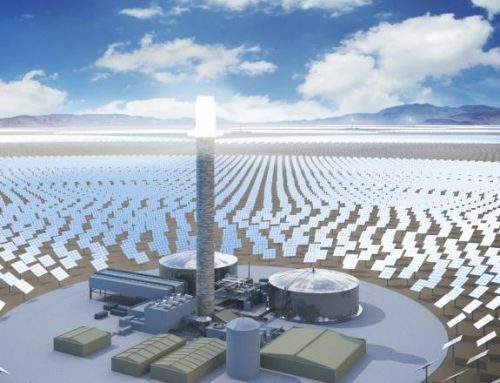 The 90 mirrors enclosing the tower concentrate solar radiation onto the reactor, which heats up to 1,200 degrees Celsius. 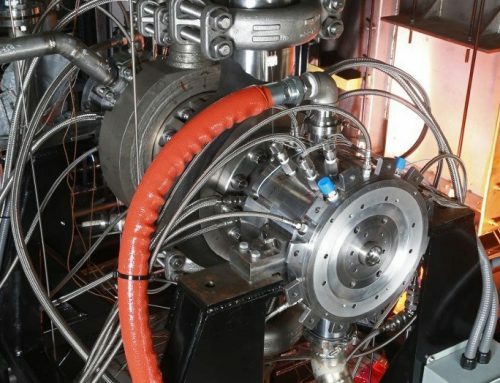 Researchers use this energy to split water into hydrogen and oxygen. 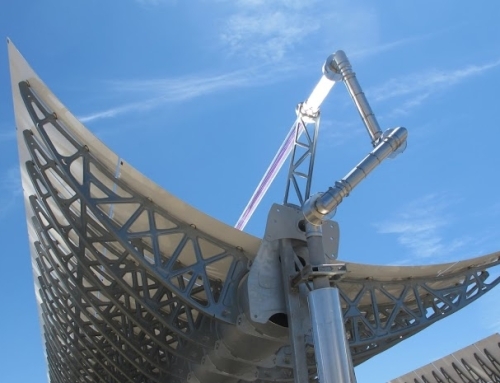 On site the delegation also visited KONTAS (concentrator test rig in Almería, Spain), used to optimise parabolic trough collectors, as well as the SITEF project in which new thermal oils on a silicon basis enable higher operating temperatures in parabolic trough power plants. PSA researchers also presented the survey method Qfly that uses quadcopters to quickly and precisely map and analyse the reflective capacity of entire solar fields. 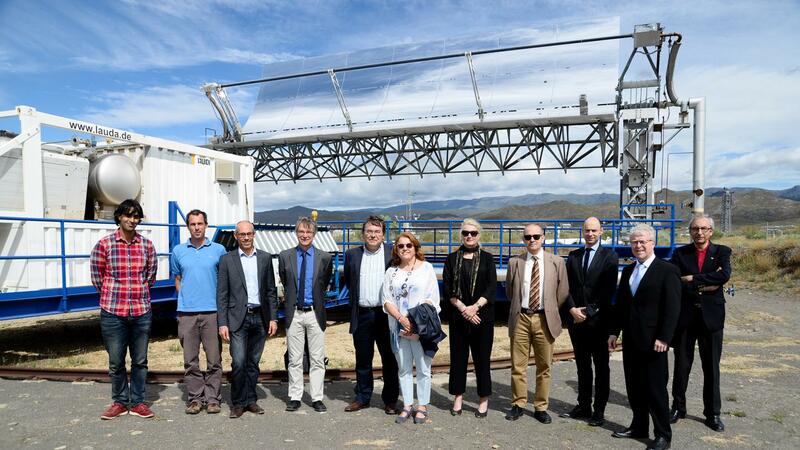 The final stop entailed a visit to the meteorological measurement station METAS, which produces detailed surveys of solar radiation intensity as the crucial input variable in the operation of solar thermal power plants. Another destination during the trip to southern Spain was Andasol 3, a parabolic trough power plant with a capacity of 50 megawatts that has fed electricity into the grid since 2011. 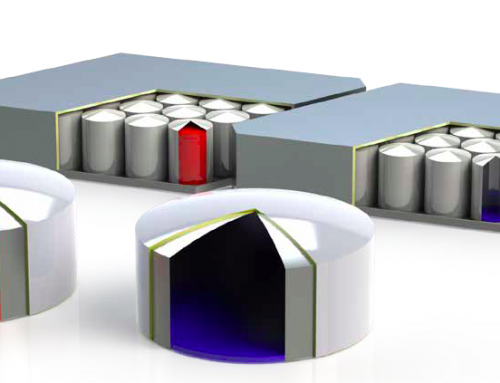 The facility also uses heat storage units to continue producing power for up to seven hours after sunset. DLR’s solar research, especially at the Almería site, provided numerous services that contributed to the development, realisation and optimisation of the Andasol power plants.